The Home Collection Bamboo Memory Foam Pillow is designed to enhance and improve your sleeping experience. This luxuriously soft pillow is made with a breathable, removable Bamboo cover for easy cleaning and Memory Foam fill for the ultimate in sleeping comfort. By conforming to your shape, it will provide you with the best support throughout the night. Bamboo is twice as soft as cotton, odor resistant and an eco-friendly resource. 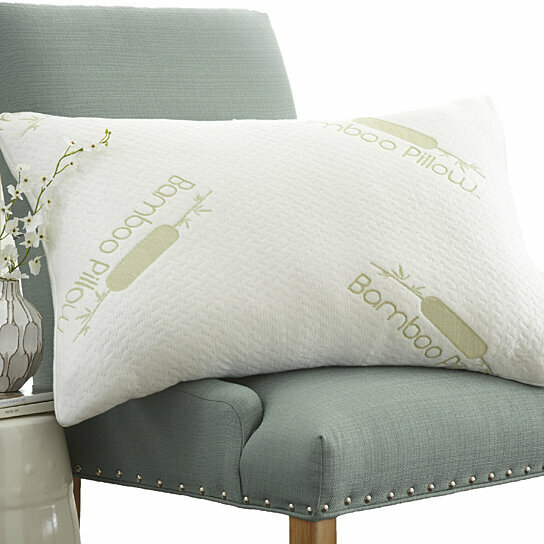 Bamboo pillows eliminate dust mites and other bacteria that may cause allergies and are recommended for people with asthma and can even help reduce snoring.